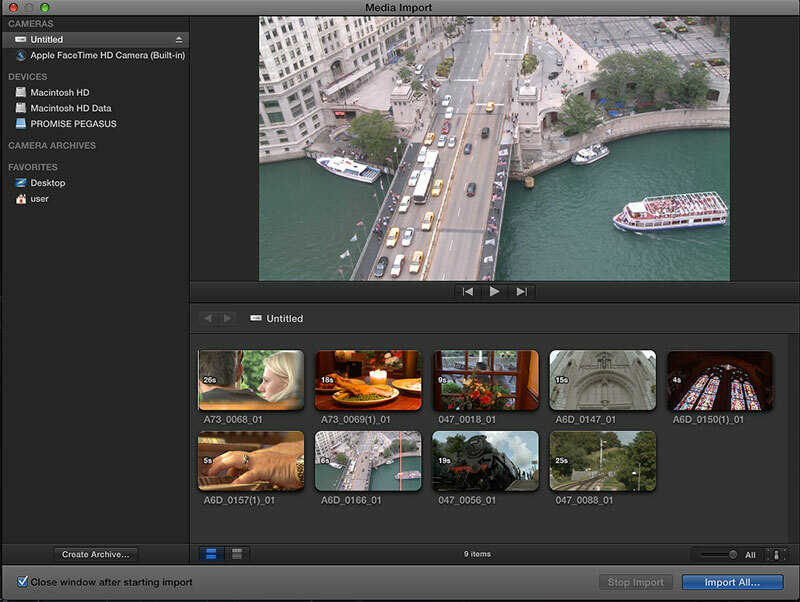 This Camera Import Plug-in provides support for XAVC and XDCAM / XDCAM EX files shot on Sony SxS card, allowing viewing and editing capability in Final Cut Pro X. For all other supported OS, please use version 1.1. This plug-in supports SxS Card but not Professional Disc. XDCAM Professional Disc users can use Content Browser software to ingest material into Final Cut Pro X. To import ProRes/DNxHD file (which is shot with PMW-F55/F5 cameras) to FCPX, the XAVC/XDCAM Plug-in for Apple (PDZK-LT2) must be uninstalled. To uninstall the PDZK-LT2, delete the "XDCAMFormat.RADPlug" in the "/Library/Application Support/ProApps/MIO/RADPlugins".